Her look is effortless yet sophisticated, with a style that sings the highest notes of elegance and beauty. 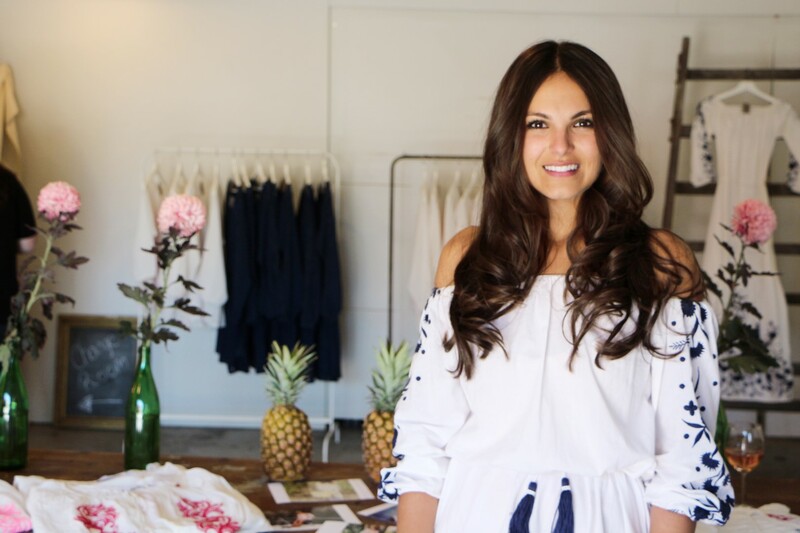 Former fashion publicist now turned fashion designer, HOLLY SCARSELLA, flys all the way from the beaches of St Tropez to launch her brand new resort wear label, Pampelone Clothing, right here in Adelaide. Featuring classic cuts and ethereal embroidery in rich colours and quality cottons, there is no denying that Holly’s European-inspired collection is the ultimate addition to your summer wardrobe. Hey Holly! First off, could you tell us a bit about your label and what it means to you? Well, to tell you a bit about my background: I have been a fashion publicist for eight years, and I’ve worked for some huge brands including Tiffany & Co Diamonds, Zac Posen and Christian Louboutin. It was amazing working for such amazing fashion brands, but obviously working in the fashion industry often gives you the buzz to want to do something of your own and express your creativity in your own way. I grew up in St Tropez where I used to spend 6 months of a year in St Tropez and the other 6 months in London. Every year I went down to St Tropez, I found the fashion just so incredible! You see these women from all over the globe come and to me, it’s almost one of the only places where I have seen the women really nail a specific look. It is effortless but very polished. I think that is super important when you’re dressing for the summer: to look effortless so it doesn’t look like you’ve tried too hard but at the same time you should look really polished and gorgeous. So that’s the look I’ve tried to create with my label Pampelone. We’ve only been trading since June and so we’ve only had one season, but since then, we’ve blown up and sold out five times over! We’ve had products on Olivia Palermo and Eva Longoria, and are now in over 12 countries including St Barts, Ibiza and obviously now in Australia. I am really happy with what we’ve managed to do in such a short period of time and I decided to launch here in Australia because I think its undeniable now that Australia is one of the leading fashion markets globally. And not only with Sydney and Melbourne, which people always assume are really the most fashion forward, but in Adelaide too. My husband is actually from Adelaide and I travel here often. Everytime I come here, I am shocked and amazed. Reason being is, number one; the girls are the most gorgeous girls in the world, I think it’s a fact! People really do take care of themselves, and number two; people invest in a better purchase that lasts longer and is good quality. I think think all shoppers should have the same ideals, and this concept particularly compliments my brand really well, so I thought why not come and do a pop up here! Speaking of Adelaide, are there any of our local brands that inspire you? 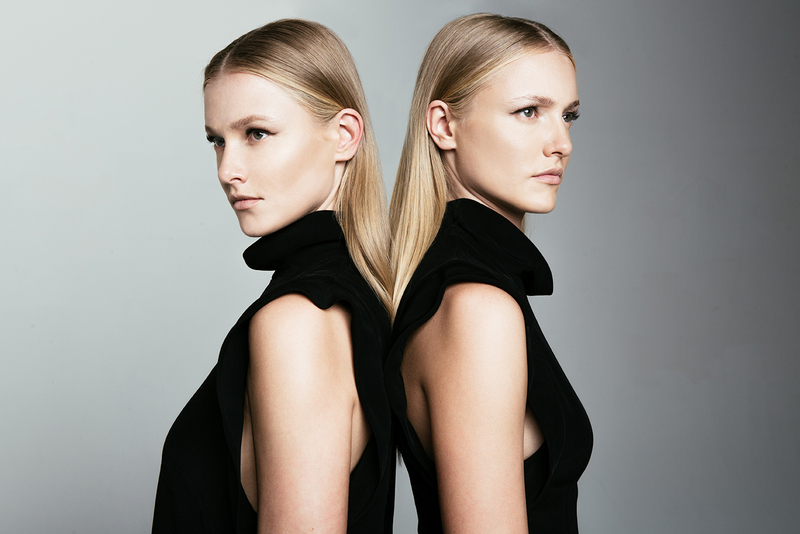 Australian Fashion Labels, I love them. I think they’re absolutely incredible. They’ve done such an amazing job and Finders Keepers is one of my favourite Australian brands, it really embodies that really cool Aussie style which I think is so distinctive. 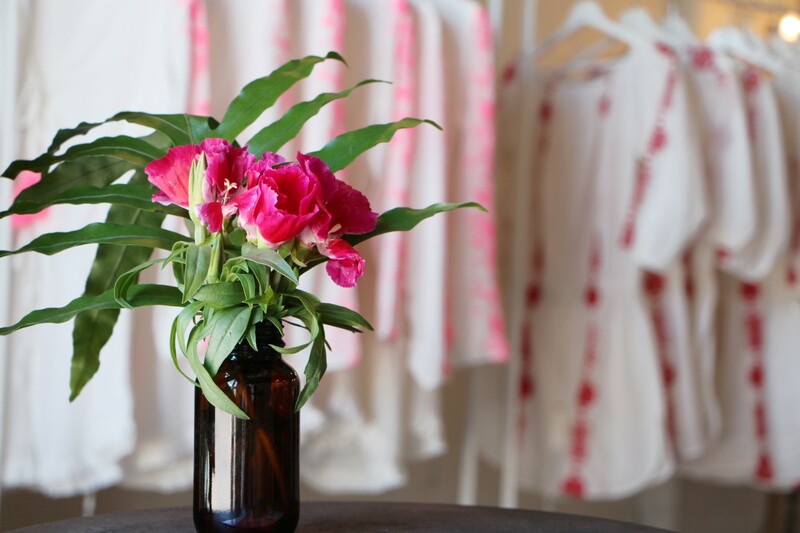 Finders Keepers The Label by Australian Fashion Labels. Image: http://australianfashionlabels.com.au/. What is your trend forecast for this summer? This summer for Australia, I think everything is going to be a little bit European inspired. I think people love clean lines but, as you can see on the catwalks, you’ve got your Chloe, Zimmermann and so forth with a lot of lace and embroidery, too. I also think the fashion will come in very soft neutral tones, which always does well in the summer. Where do you gain most of your inspiration for Pampelone? Pretty much St Tropez, but it’s also been about just creating a product I really wanted to wear myself. To get inspiration for that, I just went to places I wanted to go. Being very lucky to live in London, we travel a lot. So in one year you can go to France, Spain, Greece… we’re very lucky! I just took inspiration from all the gorgeous, glamourous women I used to see travelling around Europe. Where and how is your product made? All my products are sourced ethically in India. I’ve got a really amazing factory that I partner with there and all the material is 100% cotton. In fact, te factory uses one of the best cotton blends in the world in the sense that: number one; it’s ethical, which is really important to me, and number two; the cotton is quality. With resort wear, especially when you’re in the summer, it needs to be breathable and washable. If you’re going to chuck it in a beach bag, you need it to look okay when you take it out, too. Pampelone is just something that could look really good on the beach, but then again in the city at the same time. I wear my Pampelone Grimaud maxi dress all the time! Tell us a little more about your price point. A good point about the collection is that it is mid-price. What I have found about the global fashion market is that there’s a real gap for really well-priced resort wear. What spurred me to do this label so quickly is that I got married and went on a honeymoon, wanting to find some really gorgeous pieces to wear on my honeymoon. I could only either buy a high street piece – not cheap, but entry-priced from Topshop or Zara – but then again, being from London, everyone shops from those places. You’d go to the beach and ten other women will be wearing your same dress, and that’s just not a good look lets face it! The next step up is your more high-end fashion labels like Zimmermann, Miguelina, Melissa Odabash, Camilla etc. It is absolutely beautiful clothing, but you don’t want to be wincing thinking, ‘Can I really afford to fork out that much on one piece?‘ So I worked really hard with my factory to make sure we could retail it at a really comfortable price point and something that is great value. Nothing in this collection is over $220. Do you have a favourite piece of the latest collection? I do, my favourite piece is the navy Romana tunic. It is just so wearable! You can wear it at the beach with a bikini underneath or you can put a slip on underneath an wear it on a night out with a killer pair of heels. It’s also just a really striking and rich navy colour. Melissa Zahorujko wears Pampelone Romana tunic. Whats the plan for future Pampelone collections? So, in resort wear, there are three key seasons. You have cruise which is your entry-to-summer pieces, your high spring/summer which is your generic collection and resort which is your off-season looks. I’ll be following these as I expand my brand. I am going to stick to my core collections for now and focus on what I know as I am starting out. I hope to really perfect what I’m doing and then I may add some limited edition pieces, which I think will be really fun. We’ve just finished shooting the campaign for next season in the beautiful Positano on the Almalfi coast, which is just gorgeous. For this collection, we’re going to keep to very classic silhouettes. We’ve got some tied arms going on and also some broderie anglaise, sticking to those runway looks from Chloe and so forth. We are looking forward to showing you next year and I’ll definitely be back in Adelaide to showcase next season’s collection! 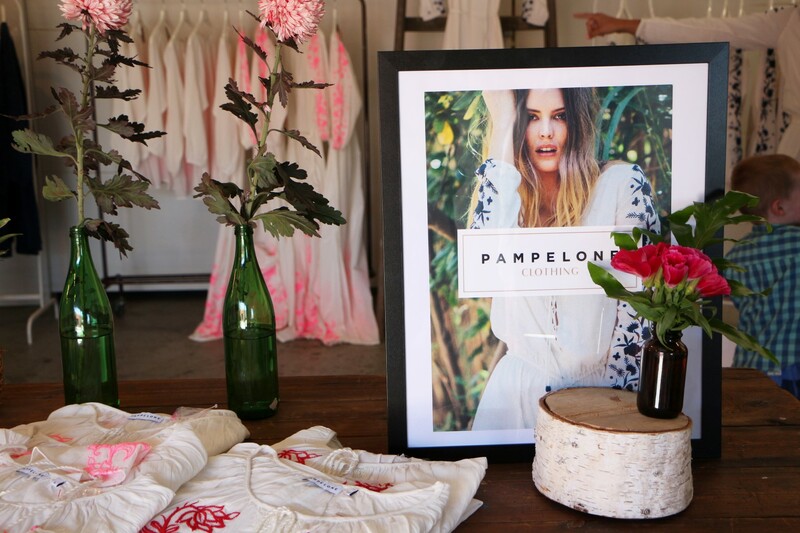 See more or purchase Pampelone Clothing online here, or alternatively, check out their Instagram and Facebook Page.